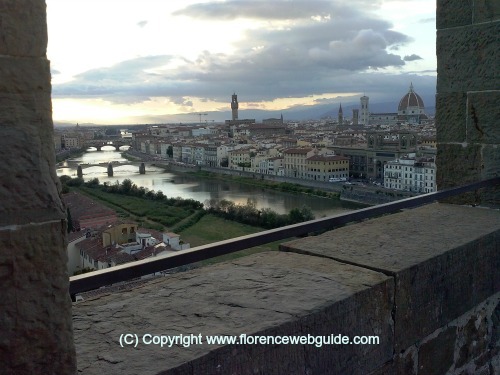 An Ancient Tower and Old City Gate...a Florence Monument with Amazing Views of the City! 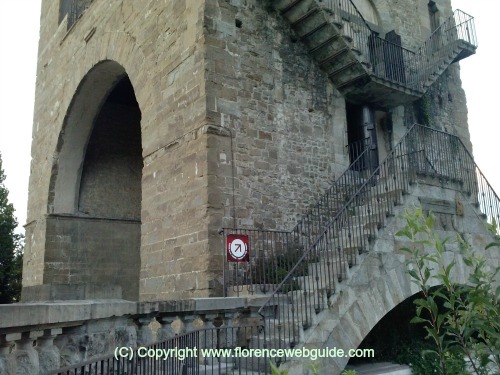 The Torre di San Niccolo used to be part of the old city walls that protected Florence. One of the entrance gates to the city as well as a watch station, San Niccolo is the tallest of the ancient city towers still standing today. From June to September this Medieval tower that goes back to 1324 is open for visits. Standing about 60 meters tall (about 200 feet) from the top of the crenellated terrace you get a 360° view of the city. 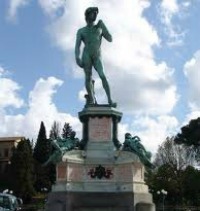 From this unique vantage point along the river you can take in Piazzale Michelangelo's bronze David, the Florence Cathedral, Palazzo Vecchio, the town of Fiesole as well as the Ponte Vecchio and all the other bridges that span the Arno. And they all seem so close, just reach out and touch...! 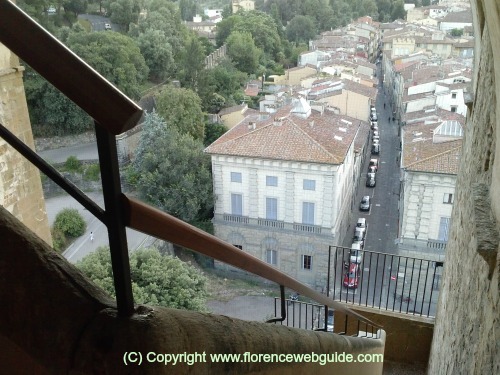 Find out more about the Torre di San Niccolo and see pics below! San Niccolo was part of the defensive walls surrounding Florence that were built between 1284 and 1336 by design of Arnolfo di Cambio (the renowned architect who also worked on the Duomo and Palazzo Vecchio). At regular intervals, the walls had gate towers. These gate towers served a dual purpose: to enter the city (the custom's officer worked here too and collected any duties due) and as a guard tower for the military in case of invasion. 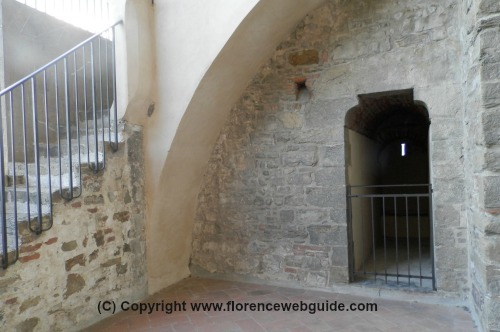 Florence's walls spanned 8 kilometers (about 5 miles) and had a total of 14 gate towers. 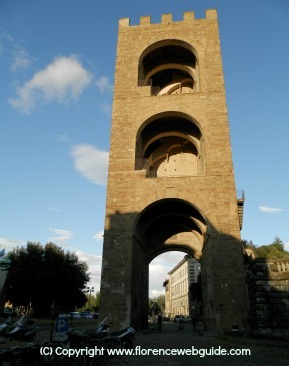 San Niccolo is the only tower that has retained its original height, 60 meters (about 100 feet). The other 13 towers were all lowered during the siege of Florence in 1529-1530. Florence was being threatened by the troops of Charles V who eventually did away with the republic and - in agreement with Pope Clement VII (Giulio de Medici) - declared Alessandro de Medici duke of Florence. Although they did not succeed, the Florentines came forward to defend their republic. It was during this military campaign that all of the other gate towers were lowered. Their original height left them vulnerable to artillery fire, whereas lowering the towers avoided their being easily hit by cannon balls (when the towers were originally built, firearms had not been invented). Torre di San Niccolo was left 'as is' because it had the natural protection of the San Miniato hill right in front of it, keeping the tower safe from attacks. 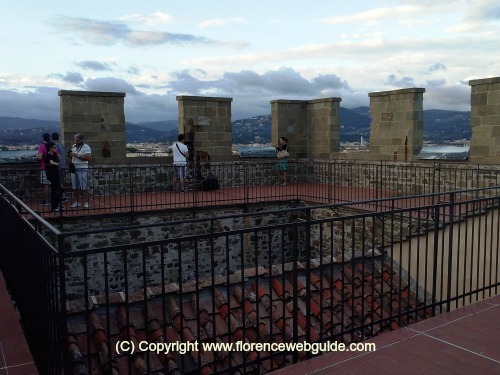 Between the merlons of the tower top you get a 360° view of Florence. The tower has 2 'rooms' (floors really) where the military kept vigil. Below you can see the small rectangular additional room on the second floor, the toilet! 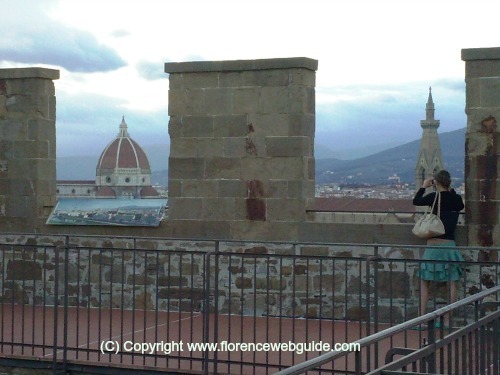 The crenellated terrace of the gate tower below - get great shots of Florence from here! The Duomo and, on the right, the spire of Santa Croce church. Below the tower, where the original mammoth wooden doors used to be (you can still see the hinges) are these frescoes, painted in the 1300's. 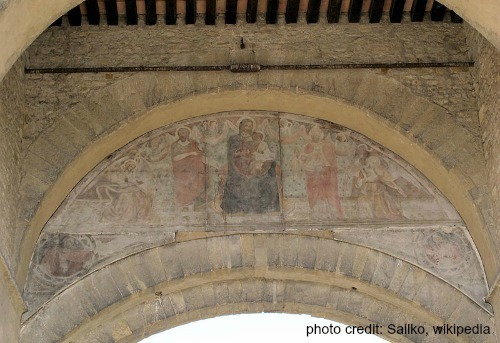 The image depicts John the Baptist, patron saint of Florence, and San Niccolò di Bari, patron saint of this area in the Middle Ages. 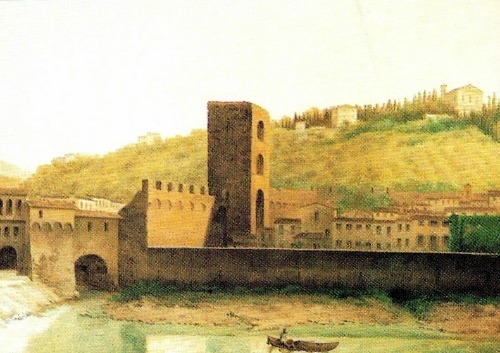 It's fascinating to compare the painting below from the 19th century of Torre di San Niccolo to the tower today. This image was painted before the walls of Florence had been torn down. 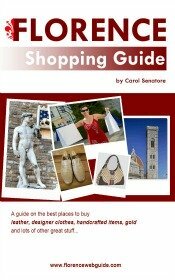 In the second half of the 1800's, Florence was to become the new capital of the Kingdom of Italy and the whole city was refurbished for the occasion. Architect Giuseppe Poggi (who the piazza where Torre di San Niccolo is located is named after) did away with most of the city walls to make way for large boulevards. The painting shows that the original tower did not have the crenellated top but was flat with no merlons. From June to September the gate tower is open for visits.